hmm interesting I thought he was already out as I have already picked him up from my local comic book store (I live in the uk). In the box, he looks very good. Once out..... I was pretty disappointed. 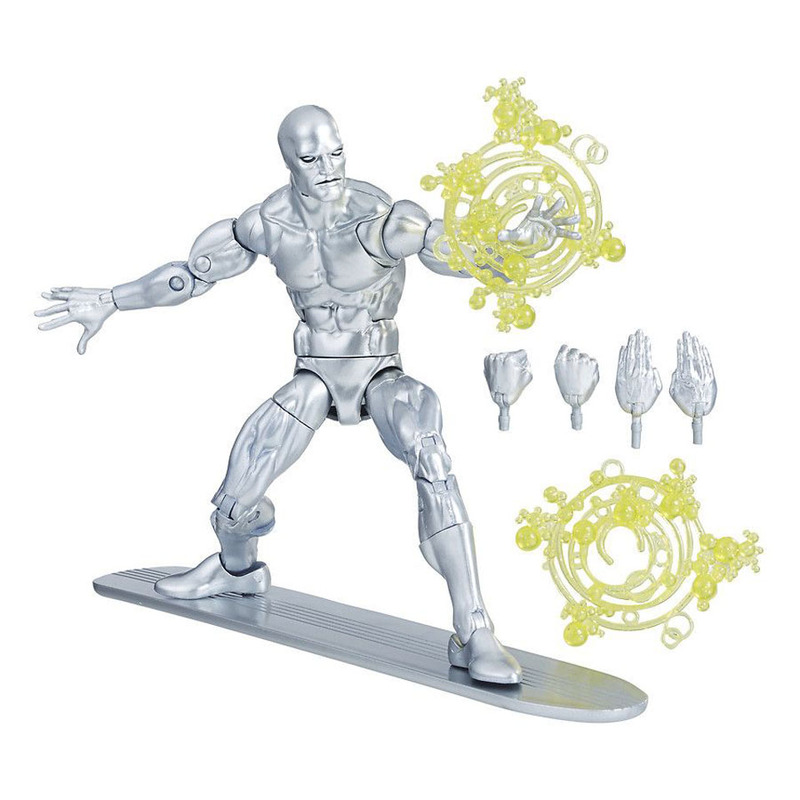 Most reviews I saw were very positive but to me he is far from a good Surfer figure. Which is why I am currently customizing the hell out of this guy. Now, based on that image, the figure has short legs (in comparison to head/arms) and almost non-existant lats. I also found the face somewhat menacing so I would have preferred wider eyes. Ordered 2, After how little Reed showed up I am not waiting to find Surfer in store. Now if the Thing would get out. From what I can tell, Mr. Fantastic is still fairly easy to find in EB Games up here in Canada. You'd think such for such a simple character design it'd be easy to make a perfect figure. Just my opinion, but every single one has been off in one way or another. The original had a weird head and shoulders. The second had a tiny head and strangely lithe/muscular body. And this one is just a little too bulky, but honestly getting closer. Yes I know there was a Planet Hulk one, but I'm pretty sure it just used that same pinhead mold. Nice! Hopefully they will do the same with the Thing figure in the near future! I wish the board wasn't so small. Looks pretty sweet otherwise. damn..didn't even notice that until you said it...it IS small. Sheesh. Sold out hours before I could get home and have a chance to order. I was hoping to avoid the "hunt" for this one. 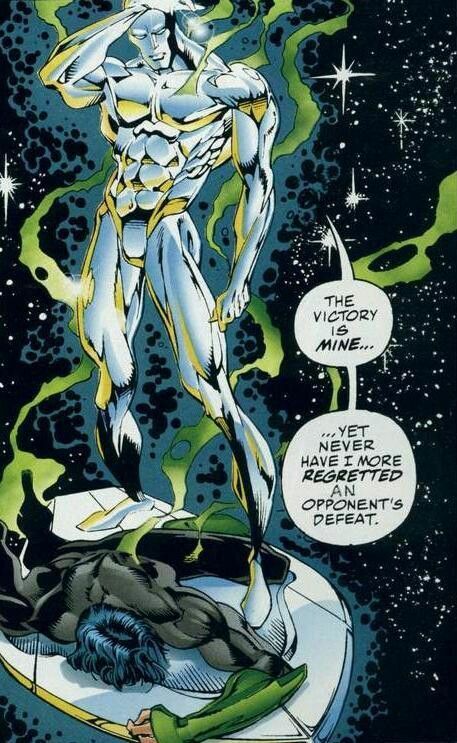 All the Walgreens around me are choking on yellow Daredevils, mostly-clothed Namors, Medusas, and Invisible Women. I'm sure I'll find him, though,...eventually. 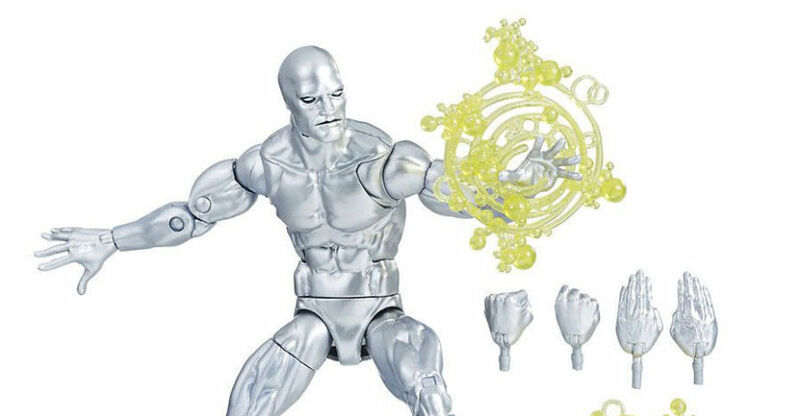 In any event, previews of this figure are pretty much what helped me decide to deviate from my otherwise X-clusive ML collecting. I do expect to find this at retail eventually. Just not as soon as Id like. One of my stores actually had this in stock today. I accepted long ago that I will never get a Surfer Board that looks like the classic Ron Lim era board. When it had the shape of a real board, pointed tip, tapered off at the end and not just a straight flat style. Don't worry, they always restock. Sometimes they even do a discount on the figure. Eh, I'm more disapointed that they can never get a surf board that stays attached to him at all times. Even the magnet one from the Toy Biz figure, while better, was still far from perfect thanks to the loose knees. Quentin Tarantino actually wrote that bit of dialogue. I guess he's a fan of Moebius Silver Surfer cause there's a Moebius Silver Surfer poster in Tim Roth's apartment in Resovoir Dogs. Back up today ordered mine. So apparently Wallgreen's site doesn't accurate record if something is instock or not. I went to the only store that the site said had them today that was 19 miles away and nothing. That's what happened when I got mine. Their site said the store had it, it wasn't out on the shelves, an employee retrieved it for me. If your store has less helpful employees then unfortunately you'd be stuck at the second phase. Don't worry, they always restock. You were right. It was back online for a while yesterday. Managed to order one. Quentin Tarantino actually wrote that bit of dialogue. Ha! I'm ashamed I didn't already know this. I can totally hear him in it now.